Sean Rowe performing at Jammin Java in Vienna Virginia on July 17th 2011. The Chapin Sisters performing at Jammin Java in Vienna Virginia on July 17th 2011. 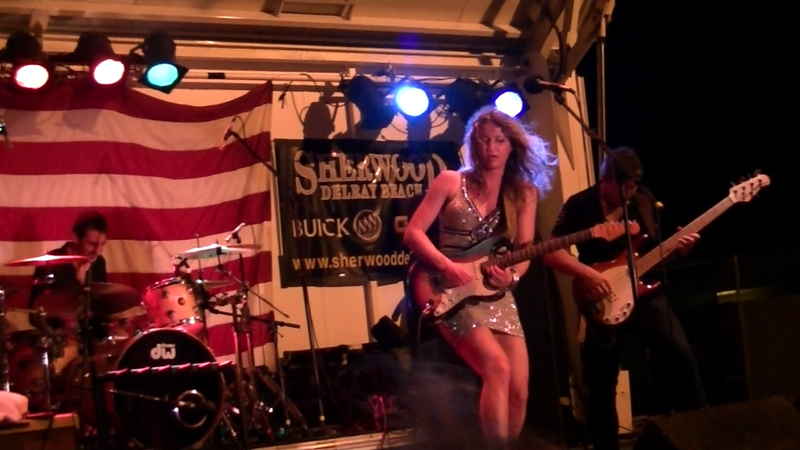 Here is Ana Popovic performing "Lighthouse" at the 2011 Red, White, Blues Festival hosted by Boston's on the Beach in Delray Beach Florida. Here is Bobby Lee Rodgers performing "Lighthouse" at the 2011 Red, White, Blues Festival hosted by Boston's on the Beach in Delray Beach Florida. Lowdown 13 performing at the 2011 Red, White, Blues Festival hosted by Boston's on the Beach in Delray Beach Florida. Here is south Florida based IKO-IKO performing at the 2011 Red, White, Blues Festival hosted by Boston's on the Beach in Delray Beach Florida. Ben Prestage performing at the Boston’s on the Beach 2011 Red, White, Blues Festival, July 3rd 2011. Courtesy of our production partner Digital Media Generation. Adam Marino of vs the earth singing "God Bless the USA". Perfect for the 4th of July. Courtesy of our production partner Digital Media Generation. Adam Marino of Vs. the Earth singing "Still". The Seldom Scene performing at Nottoway Park in Vienna Virginia on June 24th 2011.